What happens when an unexpected problem arises in your organization? Will you survive, thrive and create sustained growth? The New Jersey/ New York region was recently given a big blow, literally. When Hurricane Sandy threatened to hit our shores, our businesses and our neighborhoods, what did we do? We got ready, if we were smart. We went into survival mode. We evacuated areas that were at risk. We had back-up plans, we battened down the hatches, we secured essential supplies including food, water and gasoline for our cars — and we prayed as we rode out the storm. When the storm was over we went into recovery mode. We helped those less fortunate than ourselves and we cleared the decks to focus on recovery. Recovery became the priority. Many of our fellow citizens did not “do it right,” either because they ignored the warnings or because they were already in dire straights and had limited resources. You can’t stop a wall of water to save your home or business, but you can get out of the way to save your life. Why don’t people get out of harm's way? They are adrenaline junkies, addicted to "risk taking"
Mayor Bloomberg’s and Governor Christy’s challenge was how to convince people to leave when their lives are at risk. In one of his first press conferences after the storm, the mayor shared his frustration with his inability to impress upon those at risk to get out of harm’s way. He took the blame and vowed to find a better way. I lost a Pass Christian, Mississippi Gulf Coast home to Hurricane Katrina. When we got the warnings to evacuate we secured what we could, gathered important documents and headed east so we would be in a safe place. A few neighbors decided to stay and ride it out. Some had to swim for their lives when the 30 foot tidal surge hit our neighborhood. Most survived but several did not. We rebuilt our home to be nicer and safer than before the storm, but we still evacuate when authorities tell us to get out. The northeast has never seen a storm like Sandy, at least in our lifetime. So there was less concern for personal safety. Many doubted the reports because the media has a tendency to sensationalize to keep you tuned in so they can sell more advertising time. Next time there is a weather event like this a lot more of us will take it seriously and get out of harms way. We will “do it right." You need to be proactive, ready and responsive to threats. You need to have a plan to survive and grow the business. If you ignore threats, you may go out of business. You also need to take advantage of opportunities. You need to understand your strengths and weaknesses and what your customers think about your products or services. If there is a competitive technology that is threatening your business you can’t ignore it. What are your strengths? Do you use your strengths to build your value proposition? What are your weaknesses? Are you doing enough to minimize the negative impact of your weaknesses on your customer’s needs? What opportunities have you identified and are you taking advantage of them to grow your business? What are the threats to your growth and survival? Are you proactively focused on responding to and addressing these threats? Your vision for success needs to be crystal-clear to you, your employees, your investors and your customers. 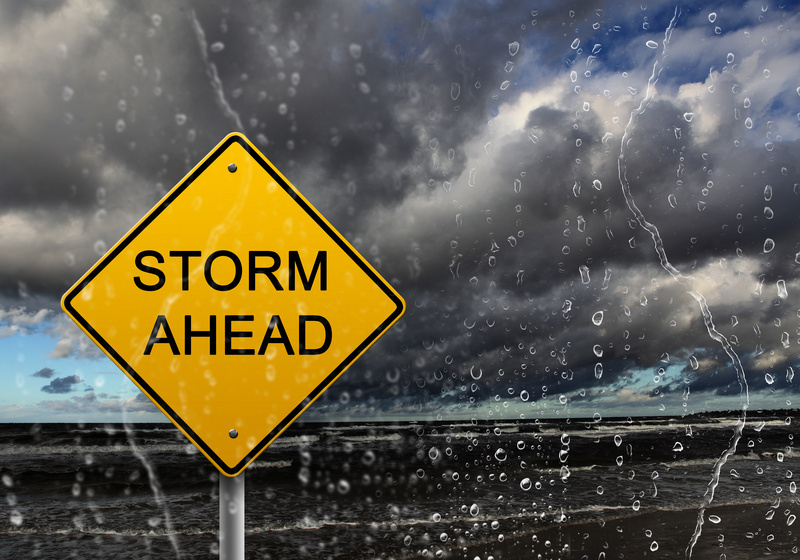 You need to stay on message, “Do it right” and be ready for the hurricanes (literally and figuratively) that your business will encounter.